2. Tenderize the meat applying good amount of green papaya paste or grated green papaya , and don’t forget the skin !!! Take the papaya with skin !!! 3.Add generous amount of Mustard oil ( shorishar tel) in the marination !!!! 1. Cut the meat into thin 2″ or 3 ” strips . 2. Marinate the meat with papaya paste first then with all the ingredients. Marinate for at least 24 hours . Keep it in the refrigerator . 4. Skew the meat pieces into the skewer . Rub some extra oil over it . 5.Preheat the oven to 400 FH . Now bake the kababs for 30 minutes . Broil it another 15- 20 minutes . 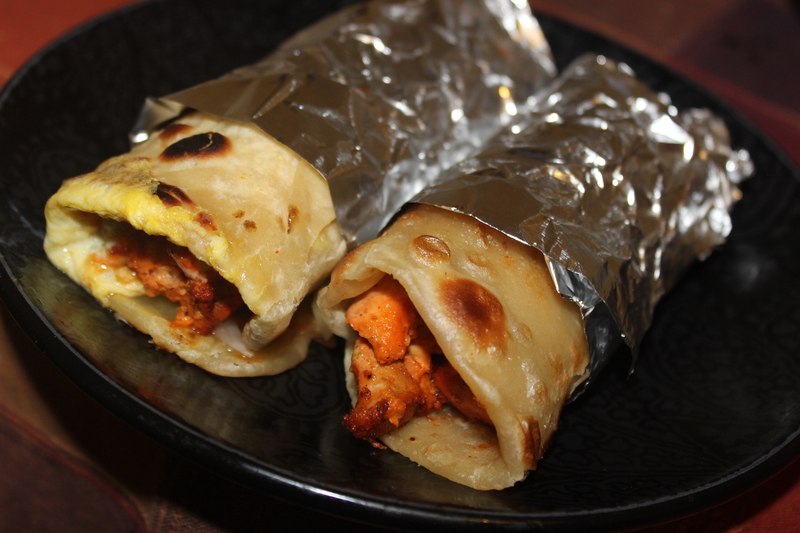 Enjoy with paratha , naan or ruti !! 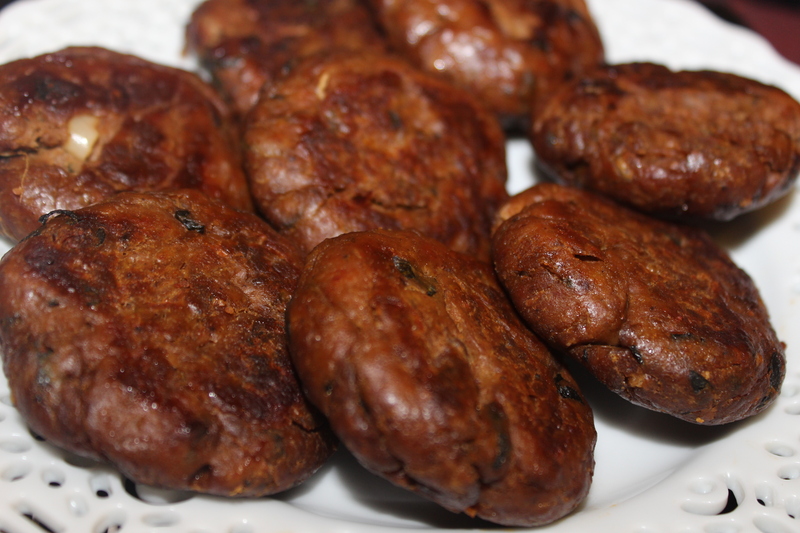 Named after ladies slipper or chappal , this Peaswari -Afgani kabab -“chapli kabab” is one of the most popular kababs through out sub-continent !!! Since named after “chappal” , many thinks it is disrespectful to resemble any food with shoe , so instead of calling it Chapli ,it is known as “Peshwari Kabab” too . 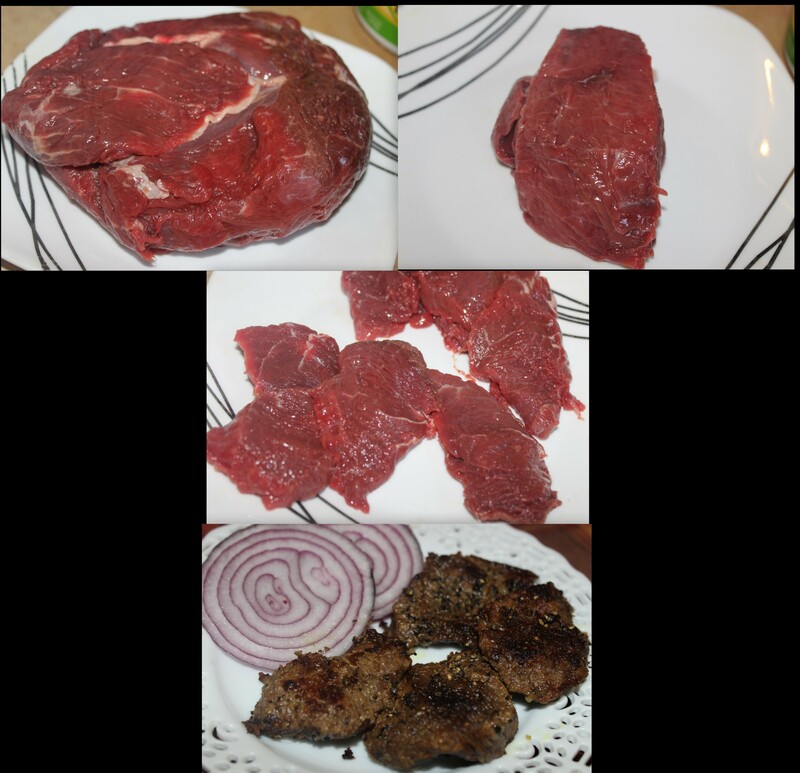 # The mince is not fat free ; rather high fat content is present in the mince .20% animal fat should be there in the mince . 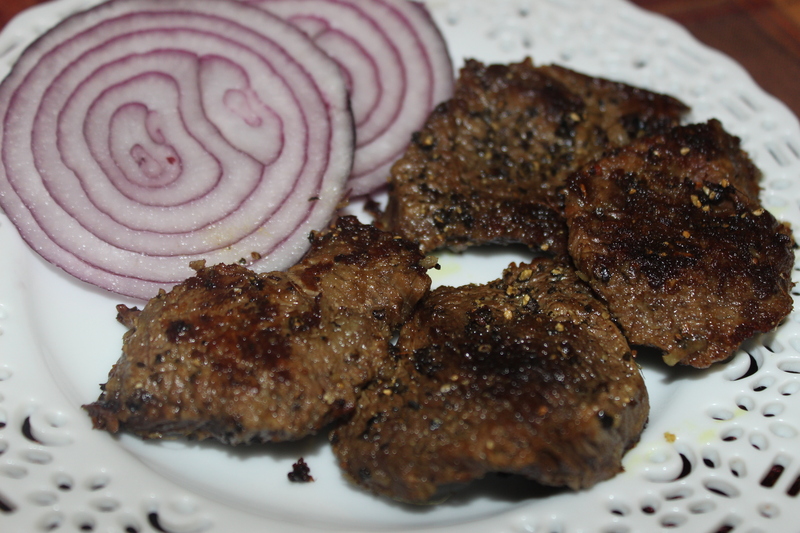 Interestingly the kababs are fried in animal fat ( charbi) too . In my recipe I added a little bit of charbi ( where can I get that amount of charbi in the mince?) and ghee instead. # For the binding “Makki ki atta ” or cornmeal is used . You can use lightly dry roasted besan ( gram flour) instead. 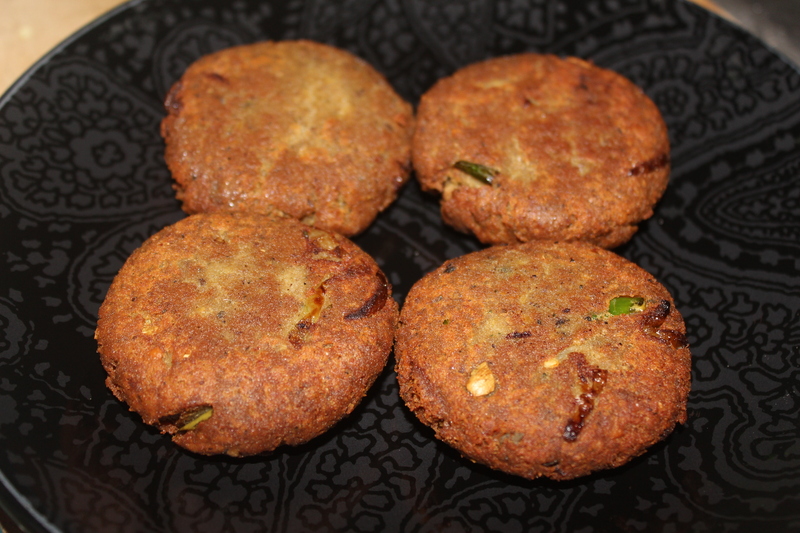 # Chapli kabab is lightly spiced and originally the patties are very large in size . 1. Marinate the meat with the ingredients mentioned . 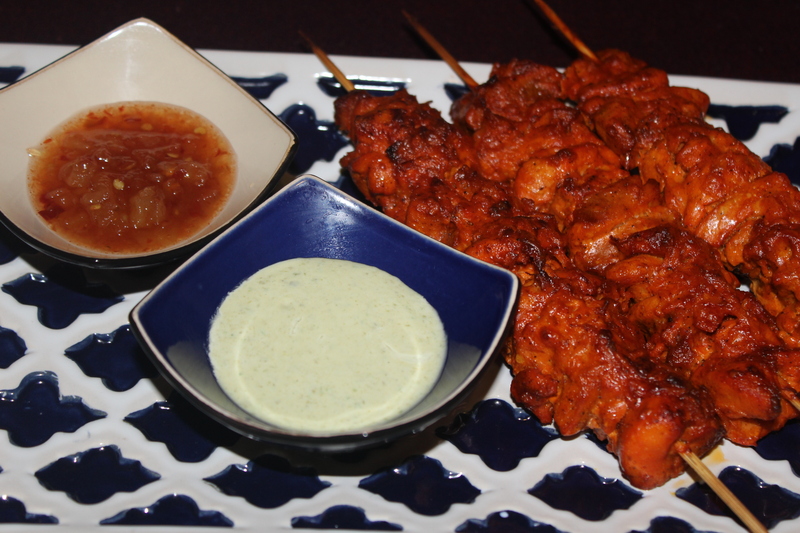 The more you marinate , the better it tastes. 2. Shape tha patties big as it will tend to shrink while frying . 3. 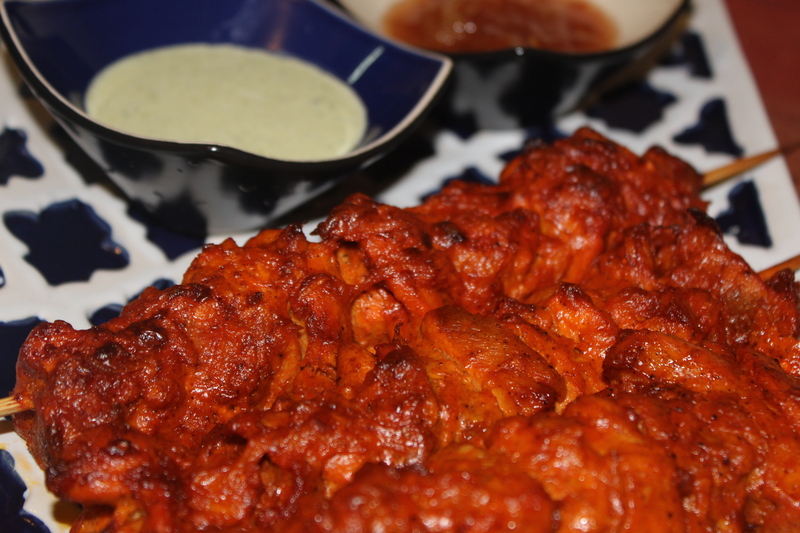 Heat ghee or oil and shallow fry the kababs . 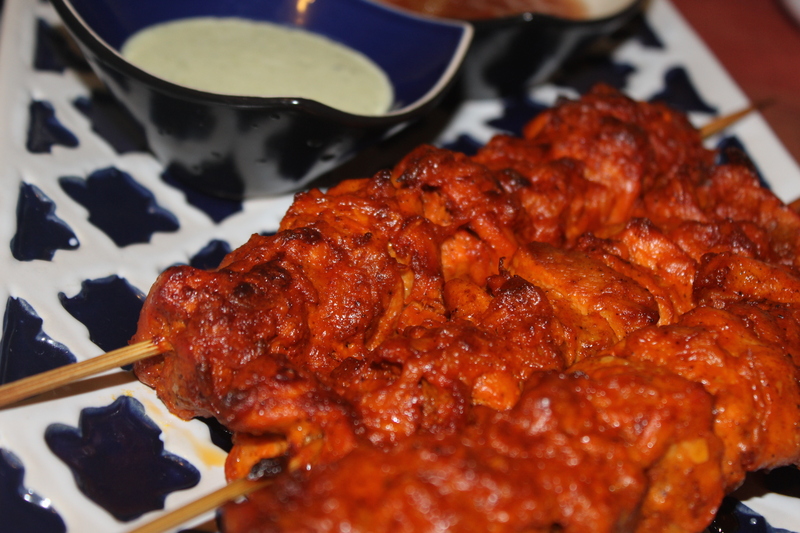 Don’t fry them in too much oil as that would make the kababs shrink a lot . After putting them in the oil try to press them downwards with your palm . That helps the kababs to shrink less but careful don’t burn your hand . 1. 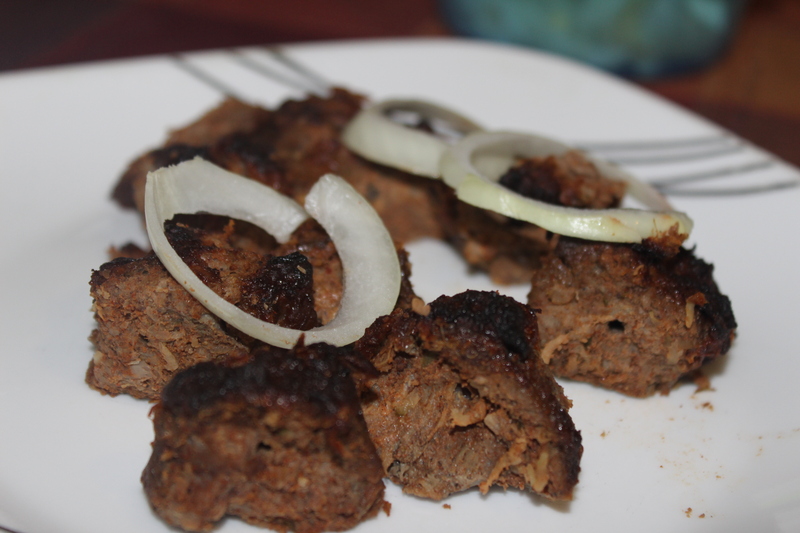 Don’t wash the mince , if you do so , you will need more binding agent making the kabab hard . So just ask the butcher to wash the meat before making mince . 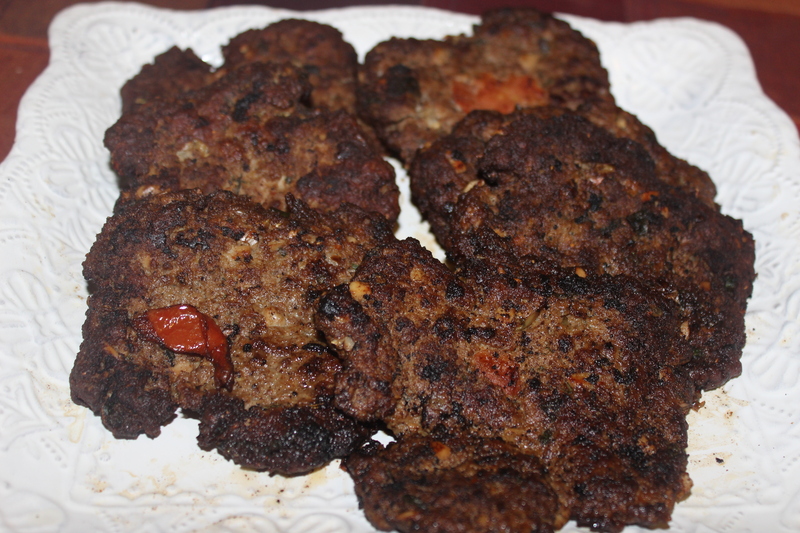 Usually Kashmiri sheekh kababs are long , almost 8″ -10″ long .They are cut in halves when served , an imporatant dish for the wazwan ( Kashmiri multi course of meal). 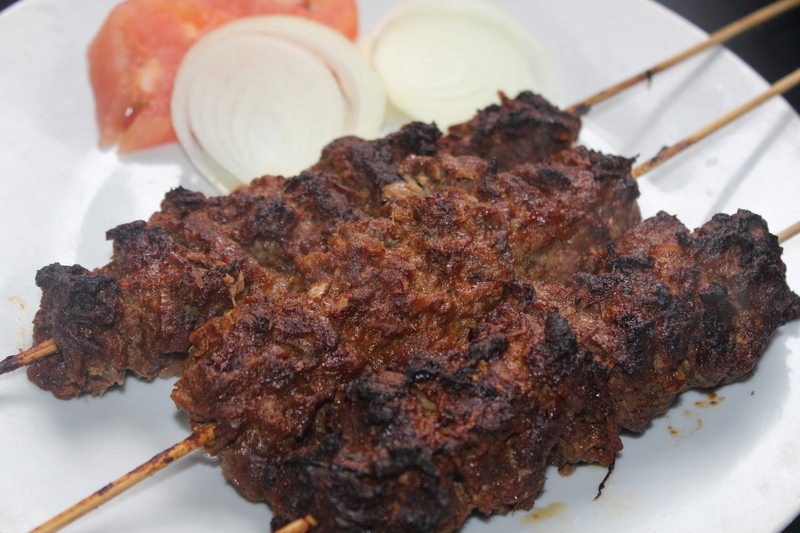 The kabab is traditionally made with lamb mince , in absence of lamb , mutton or goat meat can be substituted , but must not be made with beef !! 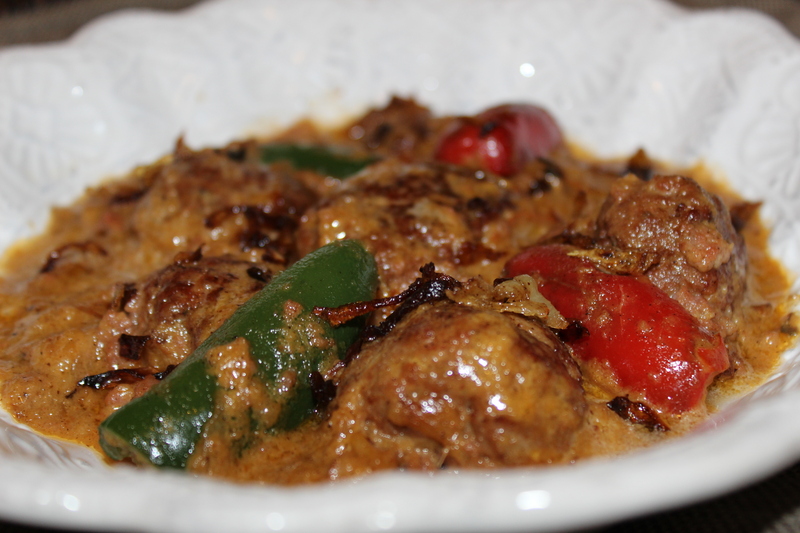 In Kashmiri cuisine , there is no place for beef !! Not only the Hindus but beef is prohibited in Muslim Kashmiri cuisine too !! Another interesting fact is , though Hindu Pandit doesn’t eat any sort of meat , the Kashmiri Pandits are meat eater . Pandit recipes doesn’t use onion , garlic at all like the vegetarians but they are fond of meat preparations !! The main spice that distingush the Kashmiri cuisine from other cuisines , is the use of fennel / saunf .. 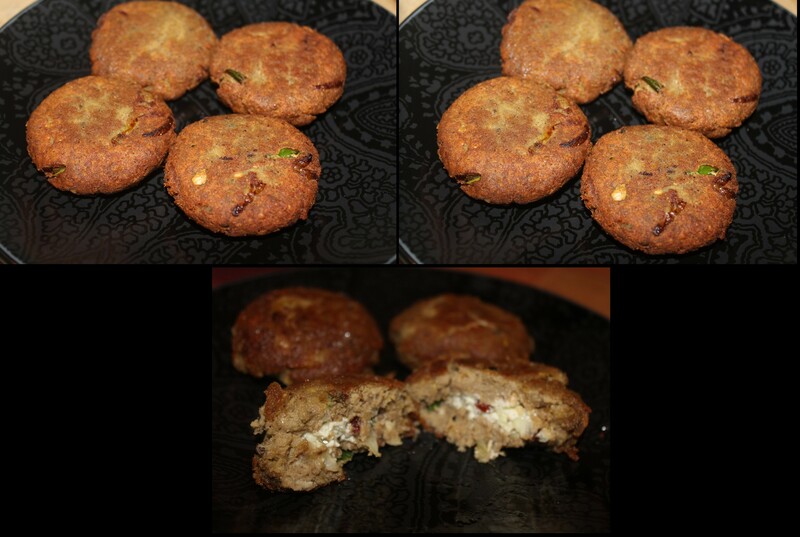 In this sheekh kabab fennel/ sauf powder is used along with other ingredients like dried mint , black cardamom powder , cinnamon powder , ginger powder, kashmiri chili powder ( the reason behind the beautiful color of this kabab) and little shajeera/ caraway powder .. as optional ingredient I used little onion too ..
1. Blend the lamb mince with 1 egg again in a food processor . The mince needs to be double minced . 2. Now add all other spices and keep it in the refrigerator for at least 4 hours . 3. 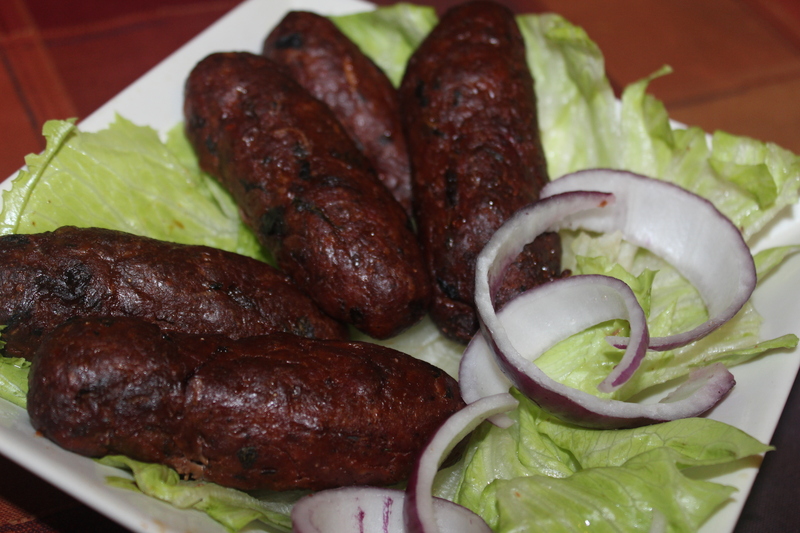 Shape in size of sheekh kabab , if shaped by hand or you may put the meat around skweres . 4. 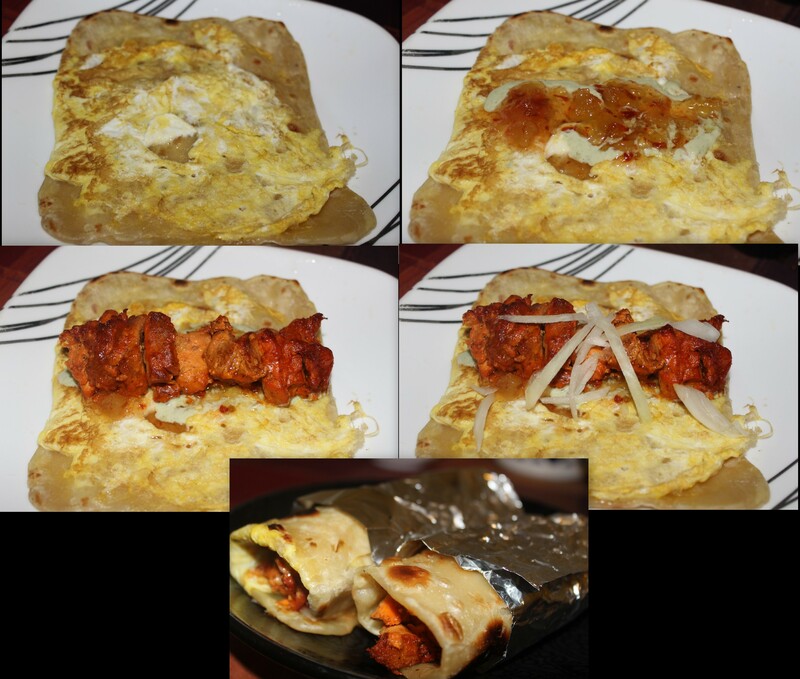 Grill it on charcoal , or shallow fry in a grill pan or bake it in a preheated oven @ 400 FH for 20 minutes . If you wish , you can broil another 5-10 minutes .